I just cannot find a way to do it. 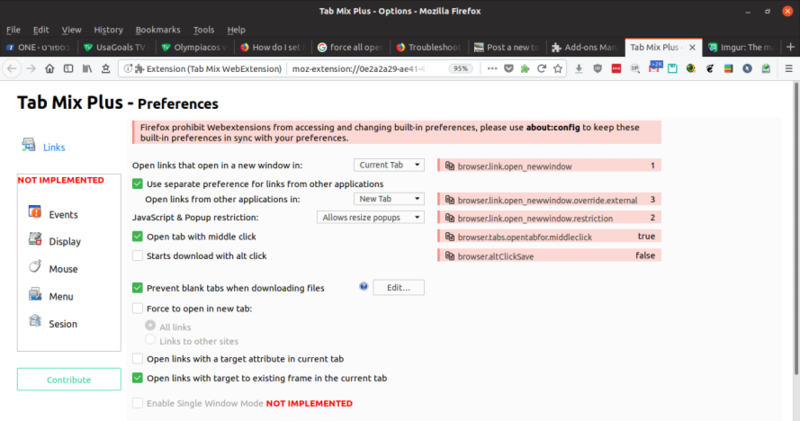 How can I force new tabs from bookmarks or from links to open in the background and without firefox focusing on them ? Note that you can hold the Shift key in addition of Ctrl + left-click or a middle-click to toggle the background setting as set in "Options/Preferences -> General -> Tabs". I've upgraded to Quantum I didn't had it freshly installed. I've also noticed that tabmix settings are still there thought the extension is long gone. none of them seems to work. Is there any connection between those setting and my BG tab opening ? 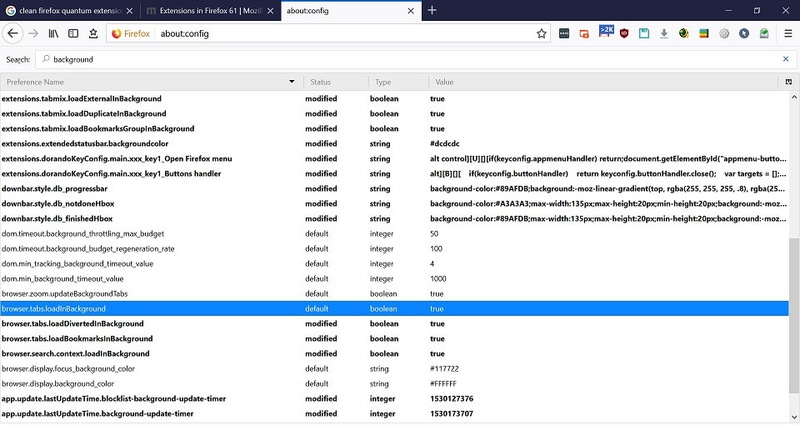 Can I delete those settings (If there not firefox "core") ? I can't think of any other settings, but others settings should not be needed. Are bookmarks still not opening the background, or is the problem only with links? Are there some links that open in the background and not others? Can you share examples that do not open in the background? jscher2000 wrote: I can't think of any other settings, but others settings should not be needed. 1) Are bookmarks still not opening the background, or is the problem only with links? 2)Are there some links that open in the background and not others? 3)Can you share examples that do not open in the background? 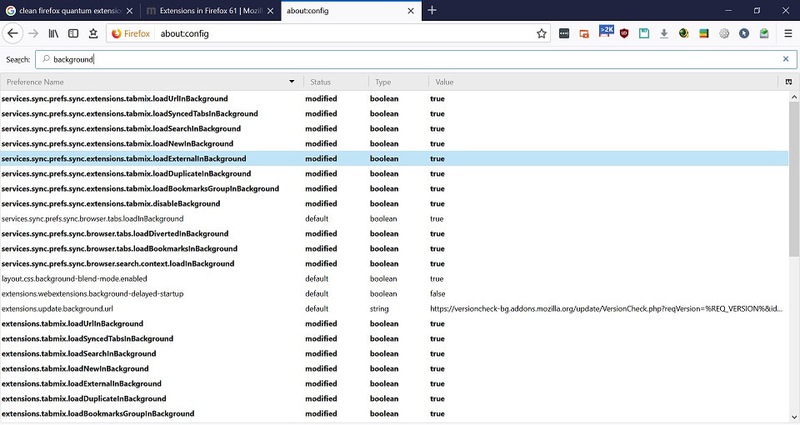 2,3) Unfortunately No (I will update if I'll find one) ALL the links I open in a new tab (right-click+T or CTRL+SHIFT+left-click) open the foreground (i.e firefox focuses at them immediately). it works under Windows 10 - it opens all tabs in the background.